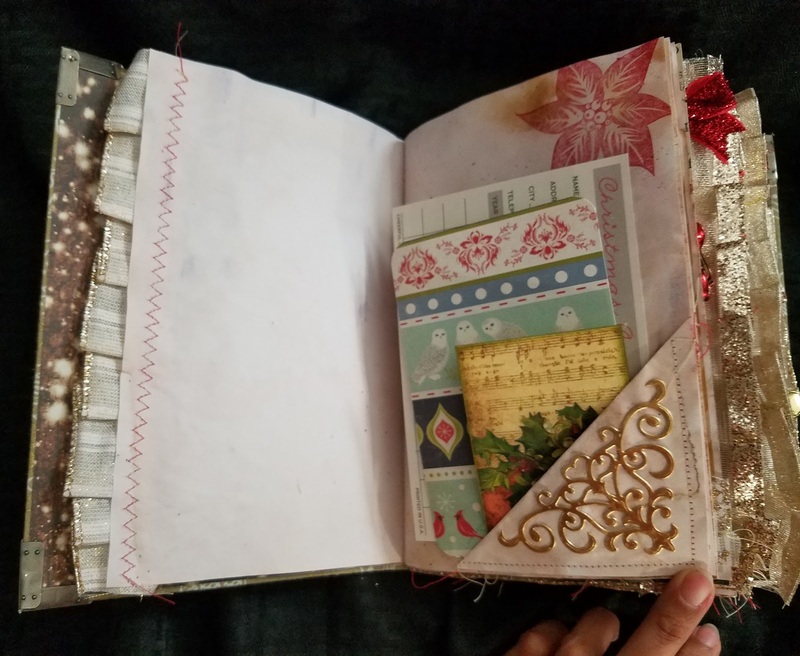 Journal is 5 3/4 by 8 1/4 spine is 2 1/2 and flowers on the spine. 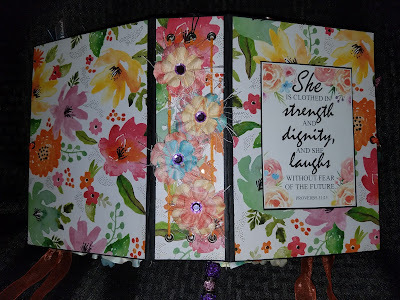 Majority of the pages have bible scriptures. 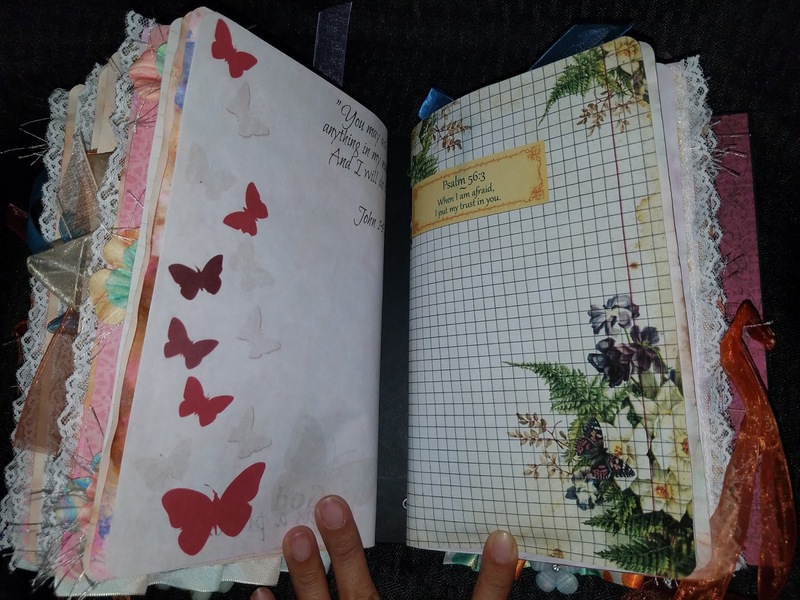 Journal has pockets, tucks, and lots of tags. 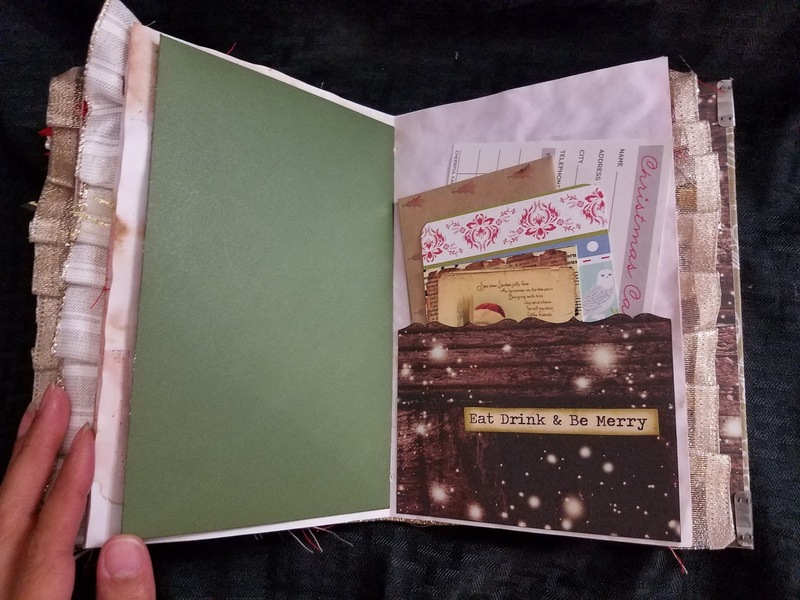 Each signature has a file folder style page, added some envelopes that have velcro closure. 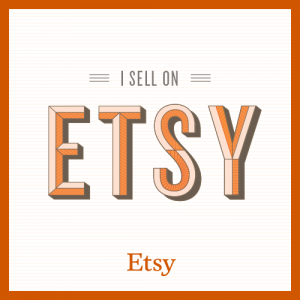 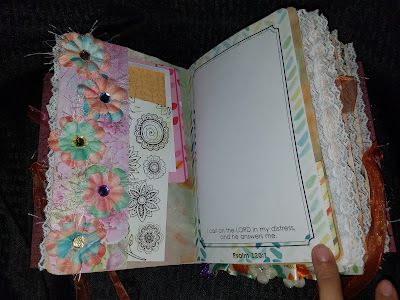 Also added washi tape for you to use the way you like. 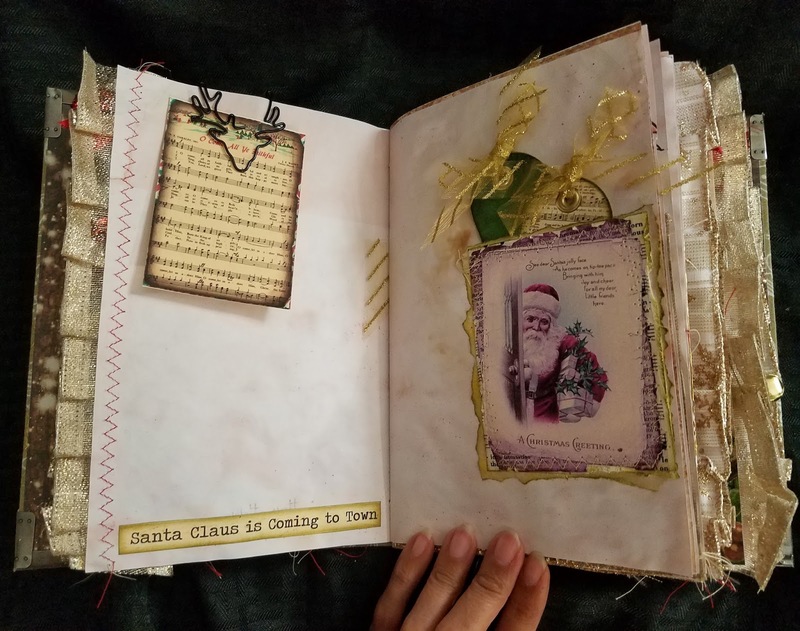 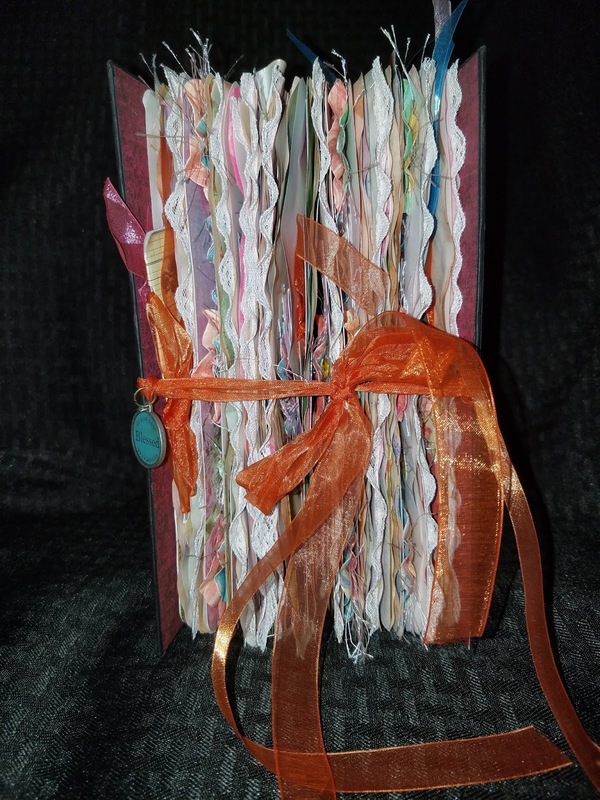 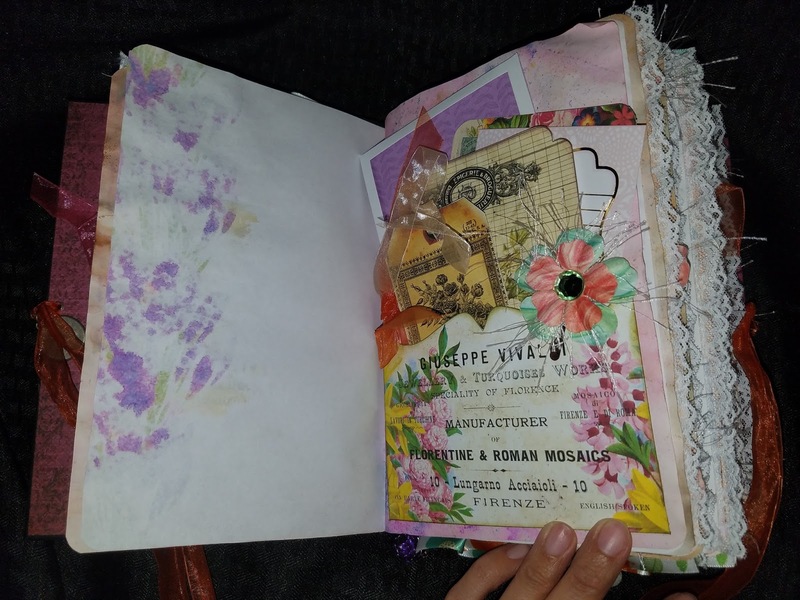 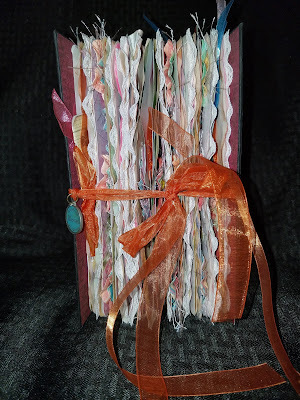 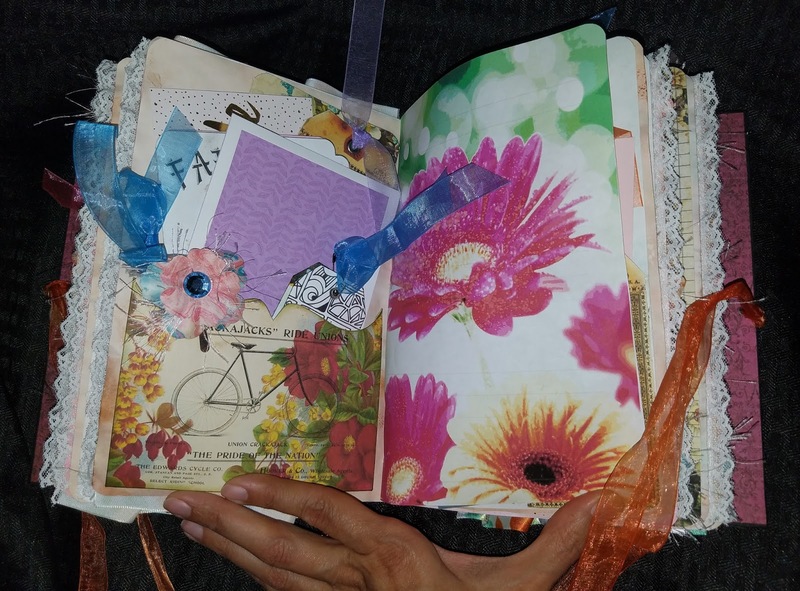 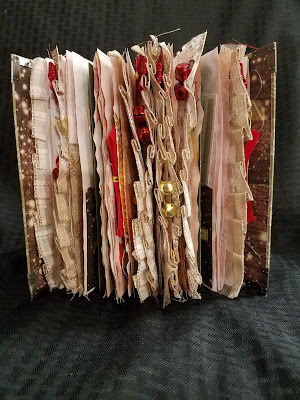 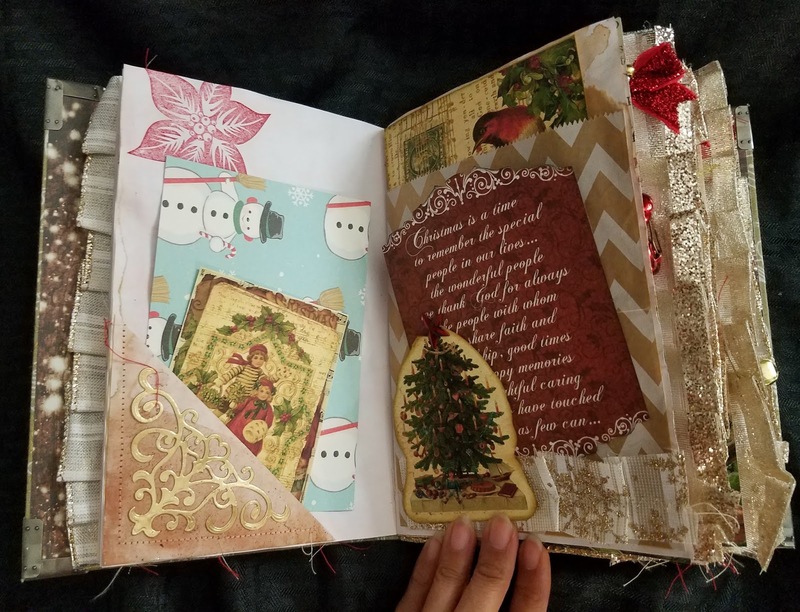 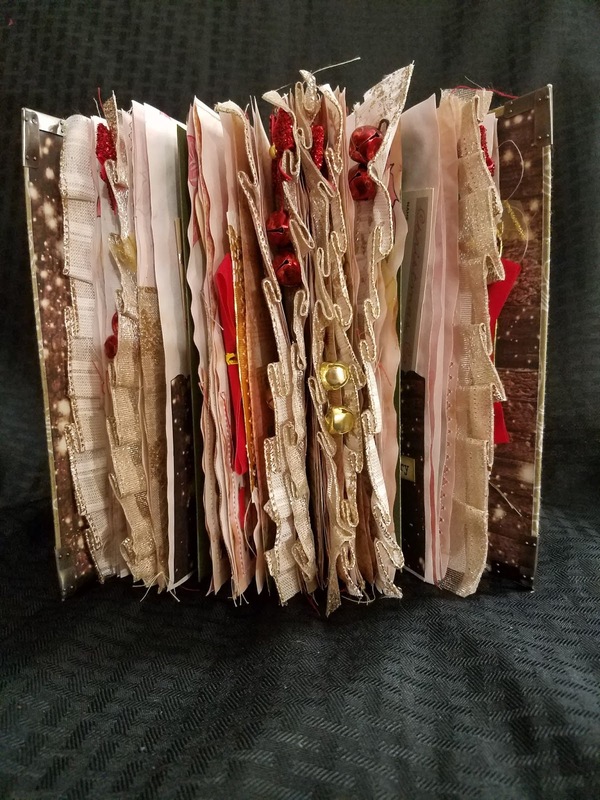 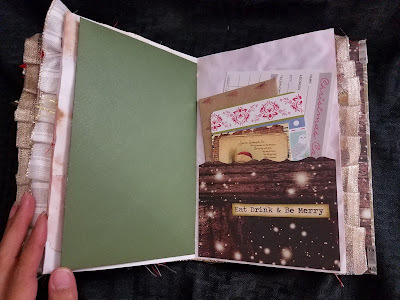 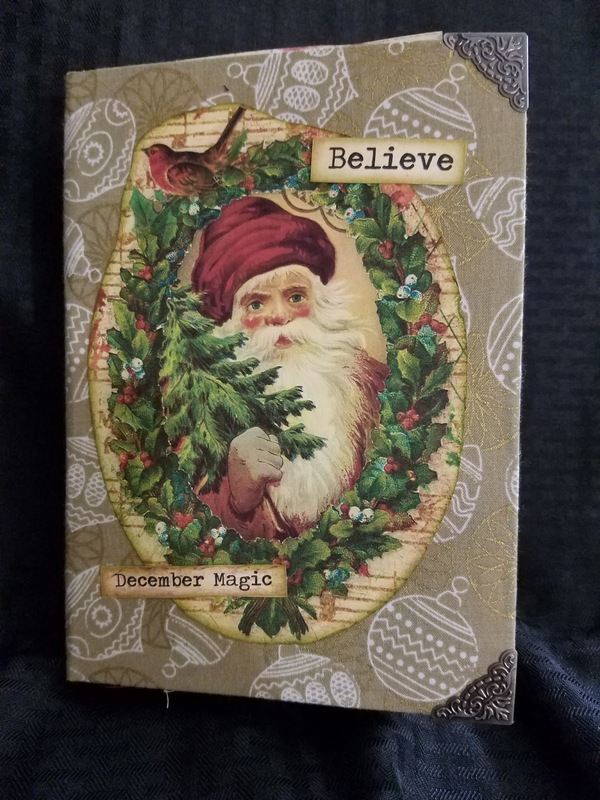 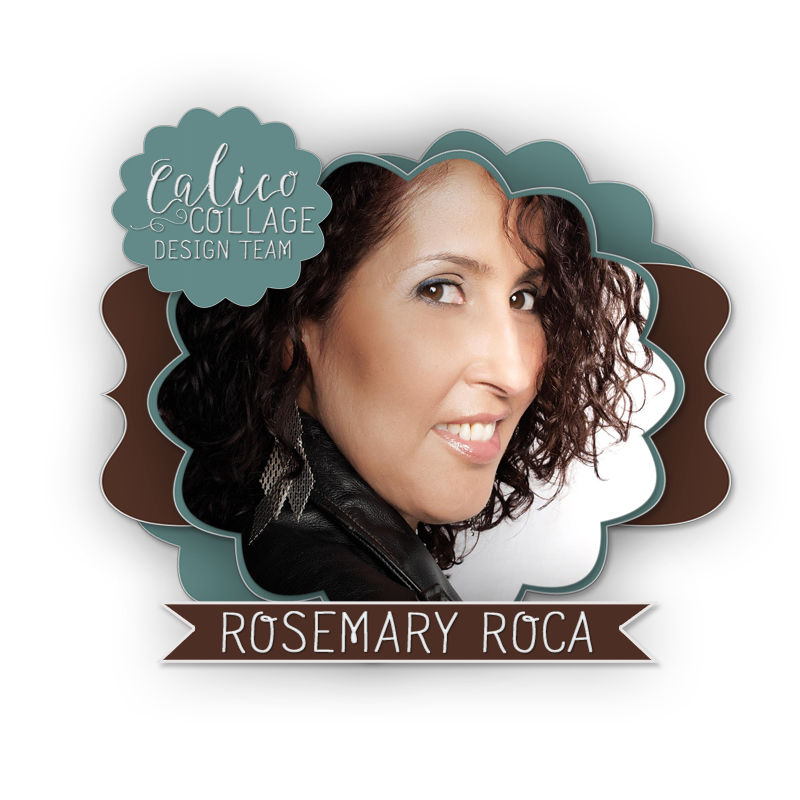 I used prayer journal kits from Tsunami Rose and journals kits from Lacor Designs. 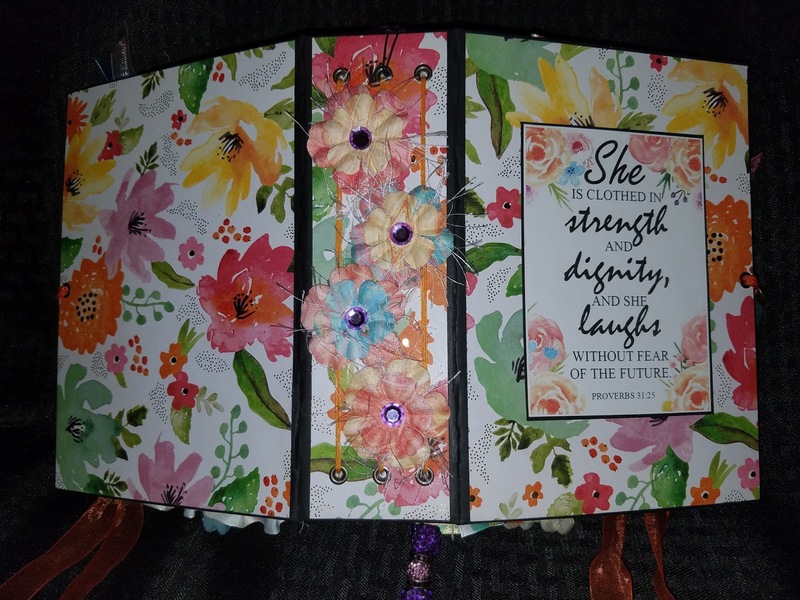 Thank you for coming by and watching. 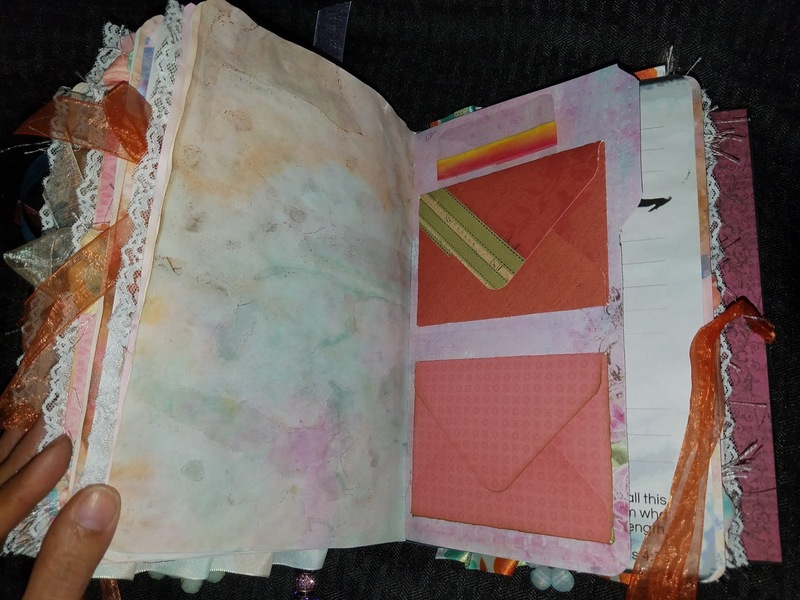 in the middle of the signatures there is an envelope with velcro closure allowing to add anything in the envelope. some pages are stamped and colored in. 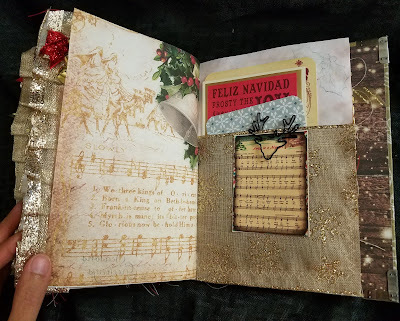 I added jingle bell on some edges. 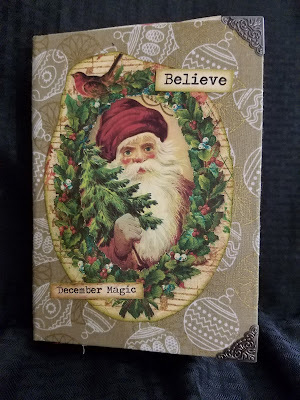 can be used like a December Daily.